So, you’ve seen the New Gardener Gift Guide, but what if your gardener is an old hand at it and already has plenty of tools? Well, you shop for upgrades! 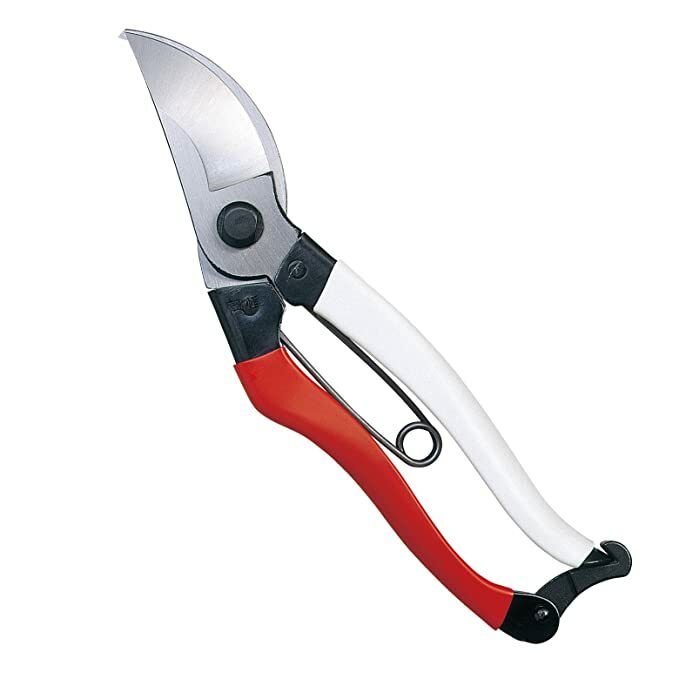 I’ve talked about my Okatsune Bypass Pruners before. Swoon! 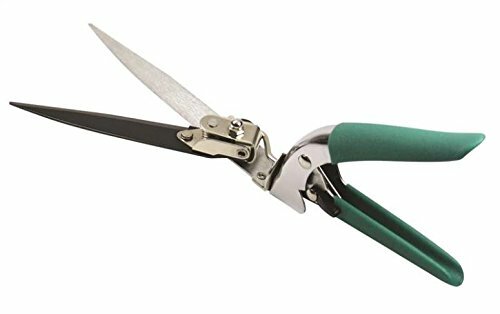 I adore them and reach for them before any other pruners. In fact, I own two pair- I love them that much. They are sharp, light but sturdy, comfortable, and easy to latch and unlatch. At about $32 they aren’t an expensive upgrade, but they far surpass any Corona or Felcos in my opinion and the price is better than both. They’ve kept their edge far longer than I would have imagined too! The PotLifter is the PERFECT gift for yourself or the gardener you know that can’t help but buy tender plants that live in huge pots that have to come inside and go back outside as the year progresses. Yes, you need two people to operate it, but my goodness, it makes moving the awkward, heavy pots so much easier. Its only $30 and my husband would say its among the best $30 we’ve ever spent! I love this DeWit Dutch Hand Hoe. $41. They come in Lefty and Righty versions and I find it invaluable in the raised beds. The reach is exceptional and the angle is great for getting under larger plants and between narrow rows. Its forged iron construction means this will last ages and hold up well to hard use. 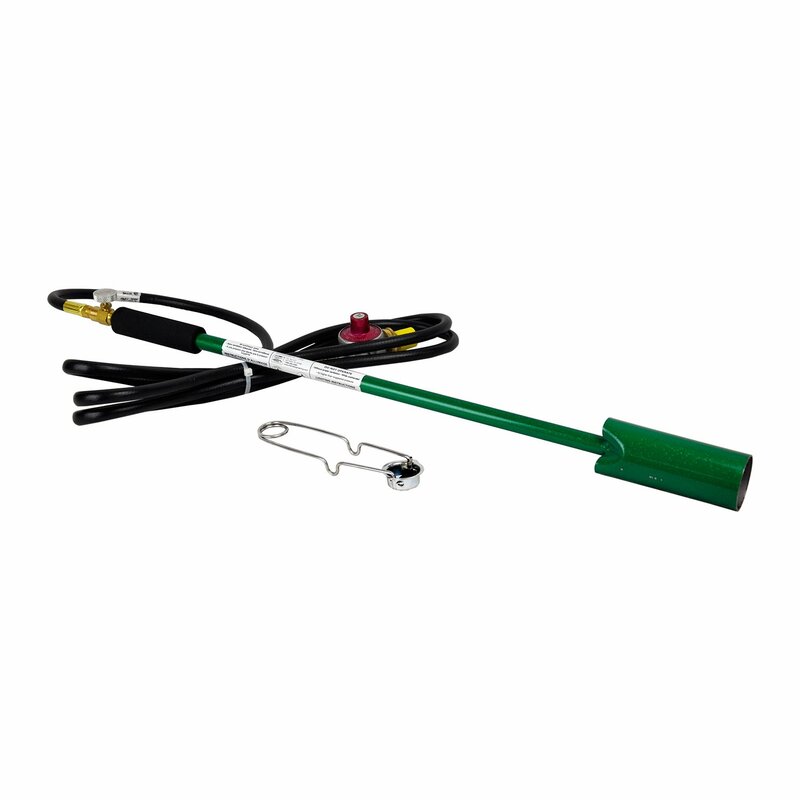 The Red Dragon Vapor Torch Kit is by far my most badass garden tool, and it is super effective on paths, gravel, and other non-flammable surfaces that harbor weeds. $55 will get you everything you need to attach it to a propane kit and get burning. I love this thing for weeding our gravel paths, it is relatively quick, organic, and easy to use. My husband Rich made a plea for me to include his favorite hand tool. Its handheld grass shears and he likes to use it in all those delicate areas where you wouldn’t dare use a strimmer/weed-whipper. He also hates the noise of the strimmer, so this is his go-to hand tool for tidying up. These are only $12 and will give your forearms a great workout while you are at it! This Clarington Forge Wizard Rubber Rake (it has rubber tines!!!) is on that is on my wish list. The reviews have been great on it and it just looks so much more friendly to the non-dead material you may be working around. $60 isn’t cheap for a rake, but this one is different enough to make the price tag worth it. 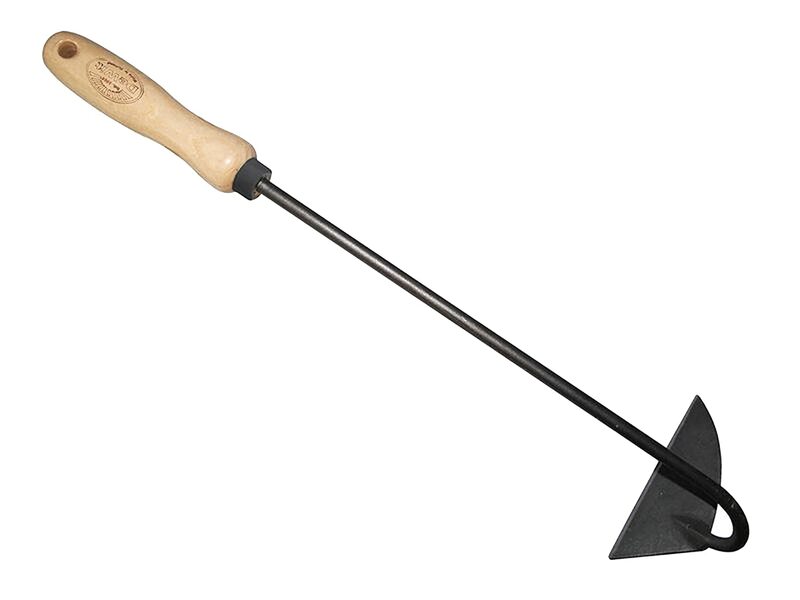 The Royal Dutch Hoe by Sneeboer is not only beautiful, but wickedly efficient at taking out weeds. At $88 it isn’t exactly cheap, but it is an exceptional piece of equipment made to the highest standards. I don’t know a single gardener who wouldn’t appreciate and use this hoe. Plus, if you’ve got to grab a garden tool for defense in the event of a Zombie Outbreak, this one would be as stylish as it would be effective! 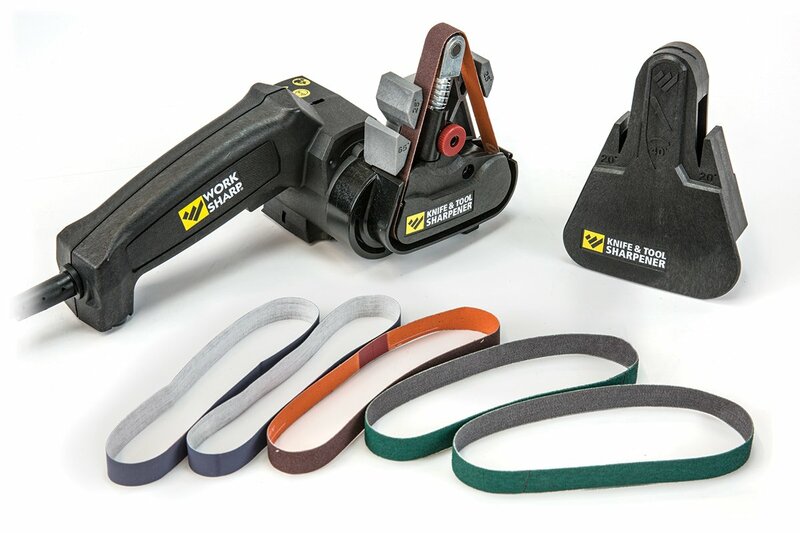 The Work Sharp Knife & Tool Sharpener is a tool we’ve had for a few years. My husband is an outdoorsman and hunter, so he’s used it to keep hunting knives, broadheads, and hatchets (and my kitchen knives!) razor sharp. But the beauty of this system is that the guard can come off (as pictured) and it can be anchored to a work-top to sharpen larger tools like hoes and shovels, as well as garden hand tools. It is so much faster (and more effective) than a whetstone or other sharpeners. The unit is just under $70 and can be bought in stores like Scheel’s and Cabela’s as well as on Amazon. Haws Watering Cans, of any type. I’ve got the larger 2.3 gallon Peter Rabbit style (above) and word has it I’ll soon have the smaller 1.3 gallon Slimcan with the upward facing rose (Santa and I are pretty tight, he give me clues every once in a while). I can’t recommend these watering cans enough. Yes, the are all around the $100-150 mark, but I’ll be hauling mine with me to the Nursing Home one day. Worth every penny! I adore Ethel Gloves, they’ve recently been acquired through Mechanix Gloves and are due out soon. Give the lady gardener in your life a pair of these and she will adore you forever! They haven’t listed the price yet, but last time I purchased them they were around the $30 mark. I’m anxiously awaiting the chance to put in an order! 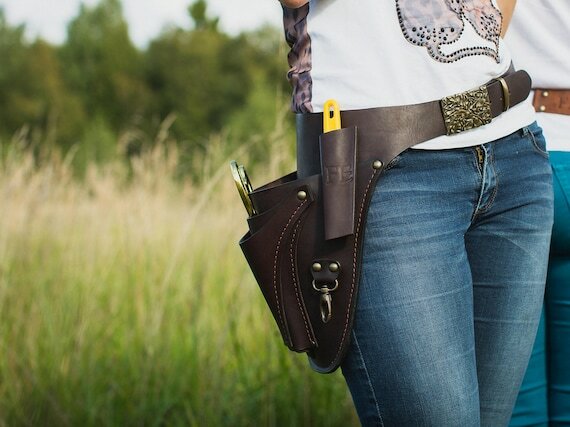 I’ve long had my eye on one of these handmade leather gardening belt/holsters. They are beautifully made and would be quite handy for keeping all one’s necessary hand tools within easy reach. These are $175 each with options for customization at additional cost. These are particularly appealing to me as I’m usually gardening in yoga pants or sweats and don’t often have actual belt loops for other pruner holders. This can get slung over any clothing and, with a bit of care and love, will hold up for decades. Image via Duluth Trading Co. These Duluth Trading Company Women’s Heirloom Garden Overalls always attract my attention, but I’ve never owned a pair. They are regularly $90, but also come in a shorts version for a hair shy of $80. The fabric is both stretchy and strong and has gussets built in for all the freedom of movement you’d need. They are both UPF50 rated and full of pockets and double-strength knees. These would be a really great gift for the gardener who is less fond of yoga pants than I am. Mycorrhizal Fungi! 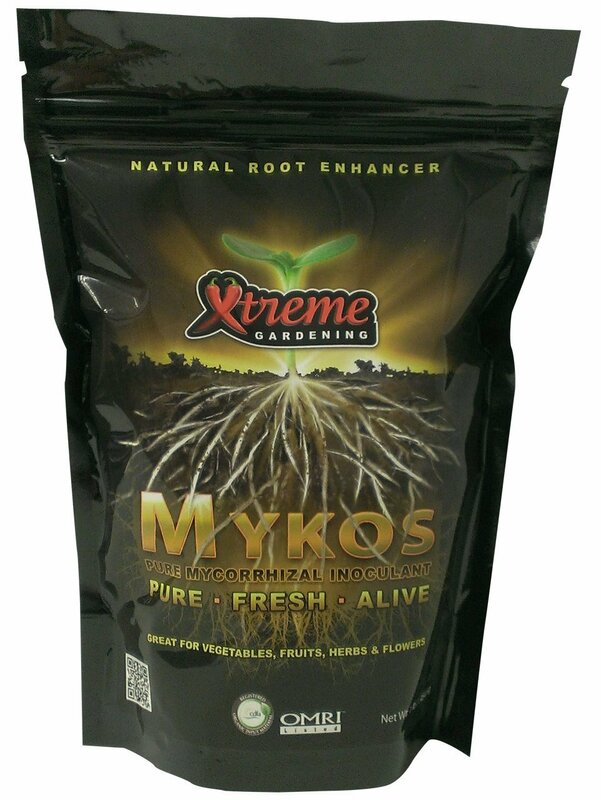 $22 for a 2.2 pound bag of the best goodness you can put on plant roots. Its a thoughtful gift for the gardener still building his or her space. This is a must for any shrubs, woody perennials, and trees going into the ground, so if you know someone with a bunch of planting yet to do, this would be a must appreciated present! 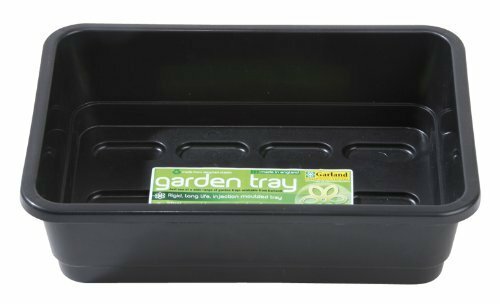 Garland Seed Starting Trays with and without drainage holes. For less than $14 you can get 3 of the trays without holes. $19.94 will get you 6 of the trays with holes. 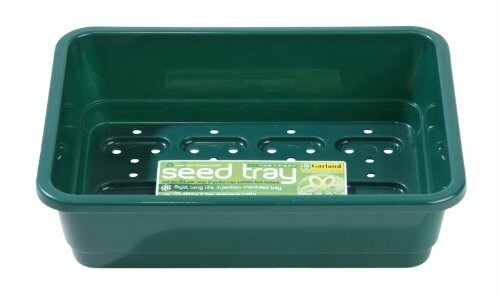 I know these are plastic, but they are sturdy and so tremendously useful for the seed starter in your life (or yourself!). I much prefer these for flowers and herbs, and the holes in the bottom mean you can water, easily, from the bottom up with less risk of disturbing those tiny seeds. A proper garden trug would be a delightful gift for both veg and flower gardeners. Clarington Forge sells three sizes, the Large Royal Sussex Trug ($153.55), Medium ($139.00), and Small ($99.00). These are the ultimate in trugs, each handmade by an Expert Trug Maker in England. Each one is signed and numbered and is, arguably, a work of art. Just don’t leave this one out in the rain! This adorable gardener’s organizer would be at home in any greenhouse or on any potting bench. I’ve got half a mind to order one for myself! 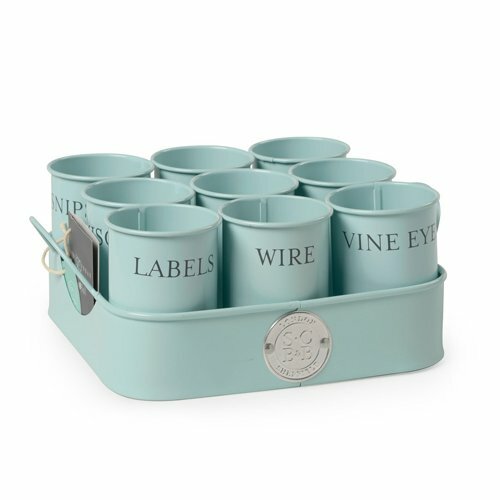 From Sophie Conran, the Gardener’s Gubbins Pots & Tray is $48.99 on Amazon. Lastly, an enamel mug is the perfect gift for the gardener who likes to take their tea or coffee (or cocoa for that matter!) out into the garden. It’ll never break if dropped and its wide base will keep it upright when you inevitably set it down in the garden. Ask me how I know! This beautiful one is from the V&A museum, but available through Amazon for $13.00. 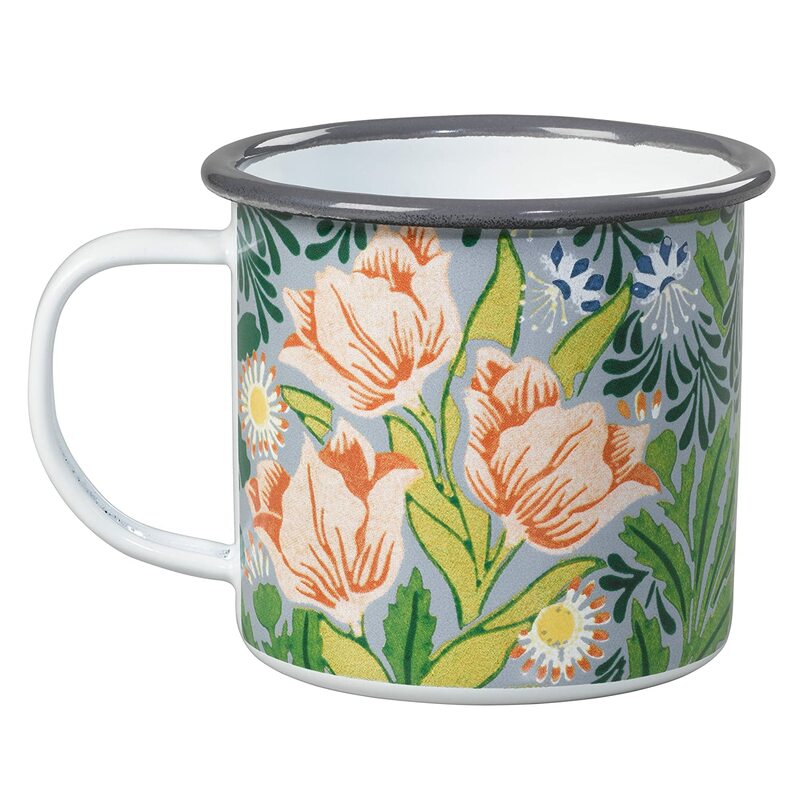 I’ve had an enamel mug for those early morning garden strolls for a number of years and it continues to be my favorite mug! That’s a wrap folks! So much virtual shopping! I hope you find something you like for yourself or for the gardener in your life. Happy shopping! Great post! I like that watering can. Thanks! That is the watering can I currently have and I LOVE IT. So well balanced, good capacity, wears like iron, and pretty! Can’t recommend Haws cans enough!